The training centre will host CFA youth teams and coaches with the first group being China’s Under-15s, who are competing in a Madrid Football Federation (RFFM) league as a part of a 10-month programme. The Chinese Under-15 women’s team and the men’s Under-17s are also involved in programmes run at the centre but their stays are generally for less than a month. The training centre marks a deepening of the relationship between LaLiga and the CFA. 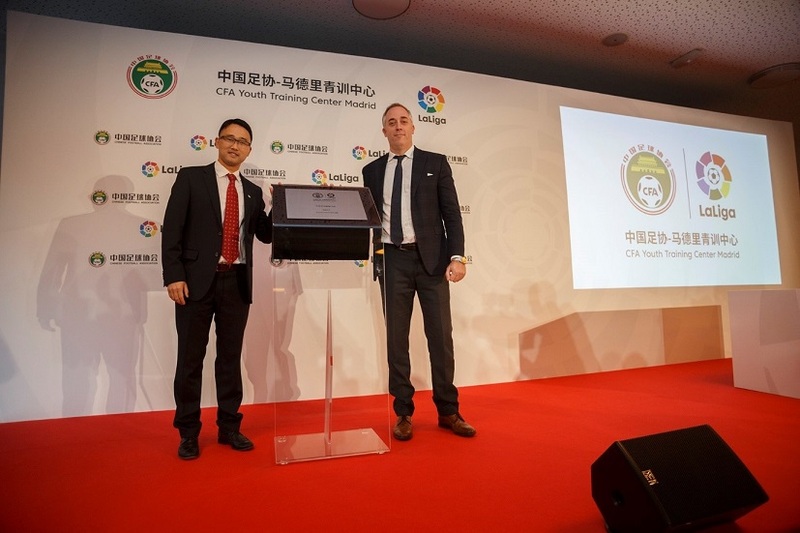 LaLiga already has links with the China Education Association for International Exchanges (CEAIE which has seen over 120 LaLiga coaches travel to China with almost 500,000 young players coached. Ove the past two years LaLiga has also run summer coaching camps in cities including Shenyang, Qinhuangdao, Shanghai and Qingdao. China’s global outreach is not confined to Europe. The CFA and the Qatar FA have signed a 5-year collaboration to collaborate on the development of football in China and Qatar. The initiative will see Qatar and China create exchange programmes in various age groups to develop youth football while the QFA will use the Aspire Academy and Aspetar Sports Medicine Hospital to strengthen their exchange programmes. The two parties will “organise training sessions and camps, friendly matches, development workshops for technical staff, and exchange knowledge and expertise for the mutual benefit of both parties”, said a QFA statement.